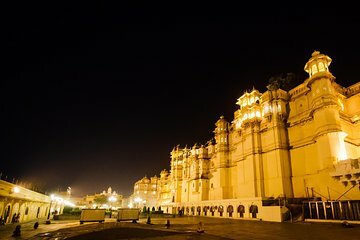 Planning to visit the evening sound-and-light-show at Udaipur City Palace, but don't want to worry about sorting out transportation? This pickup and drop package will make your evening easier. Your driver will come straight to your hotel and ferry you to the City Palace, dropping you off for the evening event. After the show, he'll pick you up and take you back to your hotel for the night.